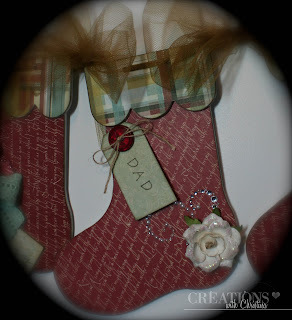 I'm sooo excited to be guest designing today for Generations Crafting. If you haven't checked out their store yet you have to head on over and see what they have...Webster Pages, BoBunny, Basic Grey, Echo Park, Prima and a whole lot more....Also check out their amazing Design Team and subscribe to their blog. Lots of great inspiration...Click HERE. 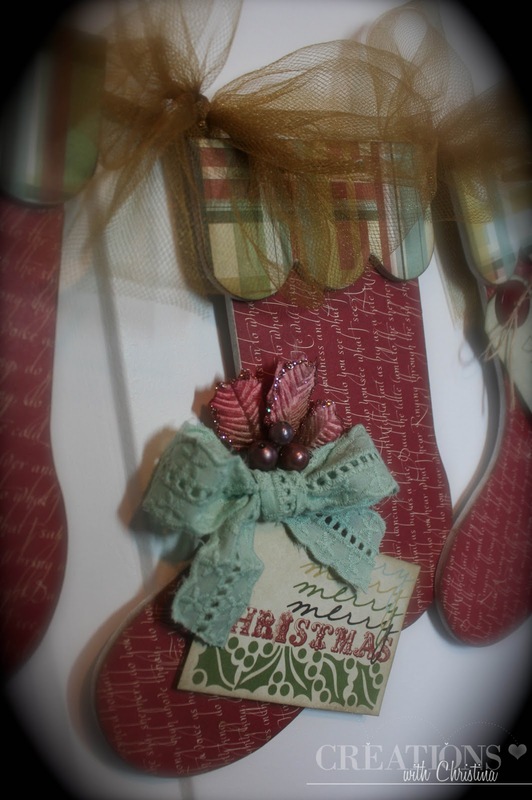 My project as guest designer is this stocking garland that I had a total blast playing with. 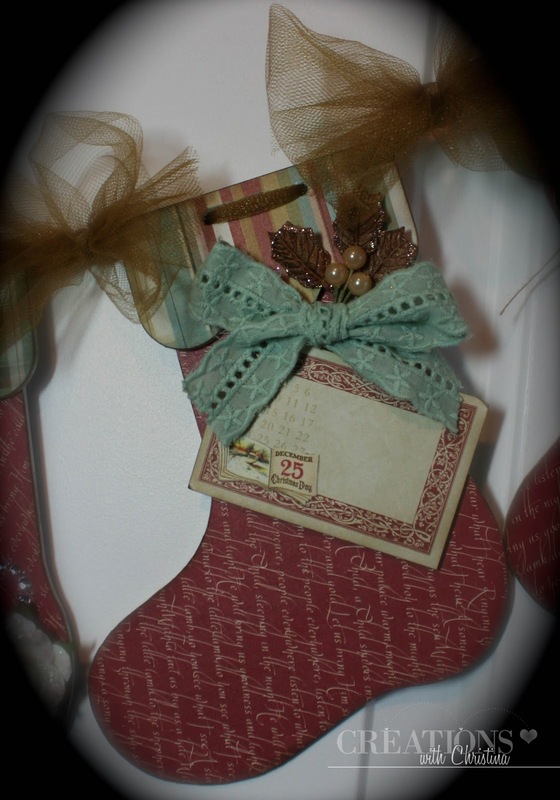 I got to use the Webster Pages "Waiting for Santa" collection. I hope you like it...Lots of pictures. 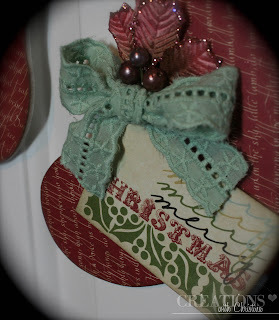 This is gorgeous, the papers are beautiful and I love how you used them. These are really cute...love the paper. Thanks for sharing. This is so stinking cute. I am going to so scraplift this garland. I scraplifted your halloween calderone and hat and now I must have this. Love it. Thanks for always sharing such great projects. You inspire us daily. Thanks again. 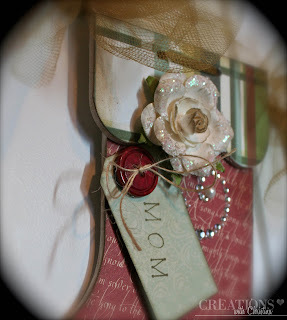 I so want to create this...seems a bit overwhelming hmmm but I may try. Thanks Christina you are awesome! Absolutely amazing! Thank you for designing for us! You're welcome back any time! This is absolutely gorgeous! I love the stockings! Christina that is soooo beautiful! I want it! Good job, very beautiful! Thank you for the inspiration! 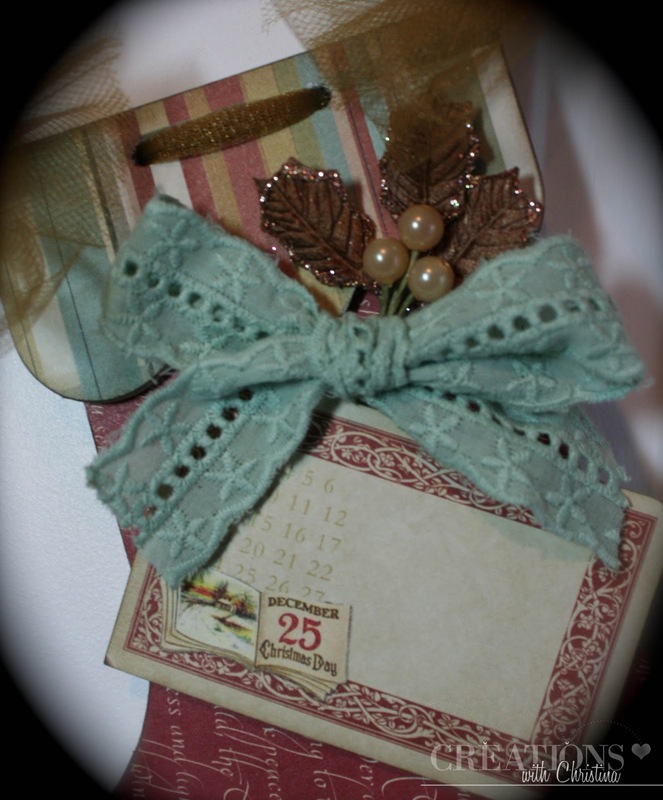 Loving the green ribbon... the garland is just beautiful... very inspiring! TFS! You never cease to amaze me!!! I'm awestruck!! This is just beautiful. I may just have to make one. Thanks for the inspiration. so christmassy. great idea. tfs. Beautiful and cute at the same time! Thanks for sharing. This is absolutely beautiful!!! I love the ribbon you used and the papers are just perfect! Love it!! Very cute. I'm not huge on banners, but this is really adorable! This is stunning. Banners are not typically my thing, but I love this. I would love something like this over my fireplace. This is one of the prettiest banners that I have come across. Maybe because it is chipboard based. 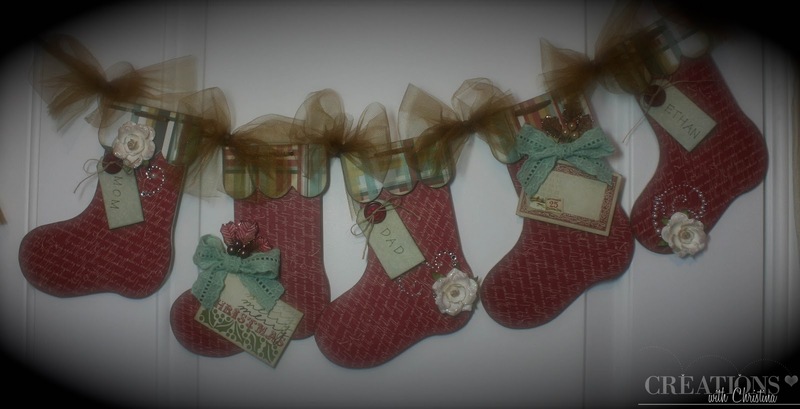 I had to order 2 sets of the Stocking Garland just to give it a try. One for each of my fireplaces. Thanks.